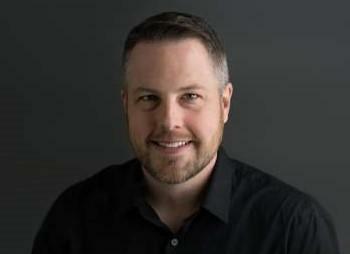 Ryan S. Bisel is our latest Routledge Featured Author. Read our interview to discover more about his recent book, Organizational Moral Learning. "This book brings together neuroscience and organizational communication to explore the complex—yet practical—challenge of leading ethical organizations in the 21st century. In doing so, it considers the leading of organizational ethics to be a matter of both biology and culture." Is there one piece of research included in the book, which surprised you or challenged your previous understanding of the topic? What makes your book stand out from its competitors? What audience did you have in mind whilst writing your book? What do you feel has been a highlight for you, in your career? What is the last book you read (non-academic)? I like the observation-based study of Denver City Ethics Training (see Jovanovic & Wood, 2006). An ethics trainer was instructing everyone in traditional ethics philosophy. At one point, some police officers started to discuss among themselves the tricky ethical challenge they face when restaurant owners or patrons try to buy them a meal. The officers want to be gracious and thankful, but do not want to create the appearance of accepting a bribe. This authentic discussion of here-and-now ethics apparently annoyed the ethics trainer who apologized later to the researchers that the officers were getting “off topic.” From my perspective, the officers’ sincere discussion of the real ethical challenges they face and their willingness to think it through together is precisely on-topic and is the essence of organizational moral learning. Similarly, I am inspired by the regular finding that ethics training effectiveness is inconclusive or downright backfires. For example, in one study, senior business majors--who were consistently given ethics training throughout their degree program--reported valuing positive social traits, such as generosity, compassion, and honesty significantly less than first-year business majors (Allen et al., 2005). Surprising findings like these motivated me to rethink organizational ethics training and rethink the way we attempt to lead ethical excellence in organizations. Jovanovic, S., & Wood, R. V. (2006). Communication ethics and ethical culture: A study of the ethics initiative in Denver City Government. Journal of Applied Communication, 34, 386-405. Allen, W. R., Bacdayan, P., Kowalski, K., & Roy, M. H. (2005). Examining the impact of ethics training on business student values. Education+ Training, 47(3), 170-182. This book brings together neuroscience and organizational communication to explore the complex—yet practical—challenge of leading ethical organizations in the 21st century. In doing so, it considers the leading of organizational ethics to be a matter of both biology and culture. I tried to write a book that could be read and understood by working adults who care genuinely about striving for ethical excellence in their work—whether or not they happen to hold a position of authority or have an academic background. I often thought about writing this book for my own mother because she is a successful entrepreneur and philanthropist and is dedicated to ethical excellence (Hi Mom!). I thought to myself, “How would I explain these ideas to Mom?” In sum, the book is an academic work, but I hope it also plainly, and at times, humorously written. Getting to invest in students is always the best part of my job. I am currently reading Richard Adam’s Watership Down with my daughter (Oh, the courage, loyalty, and cunning of rabbits!). 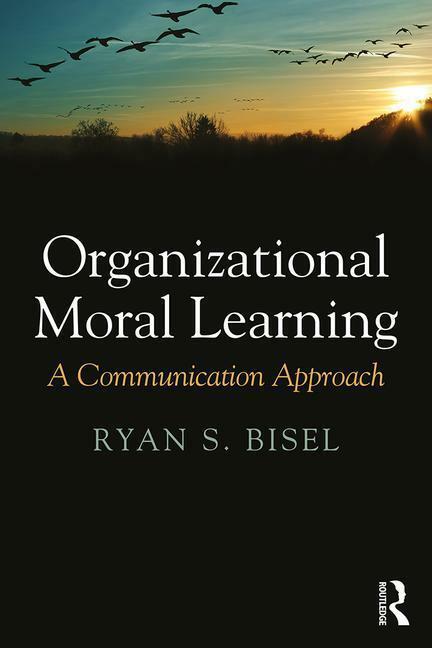 Click on the image below to access a free chapter of Ryan S. Bisel's recent book, Organizational Moral Learning.